When Justin and Sarah married 9 years ago, they both knew they wanted a large family with at least four children. Justin had a little boy named Bryson and they had also discussed adoption, but Sarah said, “you typically think, ‘We’ll have our own kids.’” In 2013, doctors confirmed that the two would not be able to have biological children. Then in November, as they sat in attendance at Pleasant Valley Church, on what is referred to as “Orphan Sunday,” they felt a small tug at their hearts. Something stirred inside of them as they processed the words, “The best way to share your Christian faith is to care for orphans.” Sarah looked at Justin and asked, “What do we do?” Sarah reasoned that, if they pursued the options to have a biological child, they would be paying “$20,000 for a maybe. We thought we might as well put in another $20,000 and come home with a child.” However, the two were living on “less than $35,000 a year combined income with not even one penny saved for adoption.” Although Justin’s heart was in it, it was the finances that scared him the most. As they would soon learn, God would provide for their needs every step of the way. In January of 2014, they would make the decision to embark on the five year, $40,000 journey that would set them on the path to eventually bring home a little girl from Haiti. 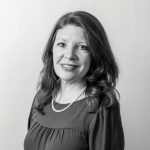 As they began the process of filing paperwork, researching countries, and raising funds, Sarah soon found that, even though they met the marriage length requirements, many countries required that the applicants be over age thirty. At the time she was twenty-five and Justin was thirty-one, so she compiled a list of countries whose age requirements were twenty-five and up, and then started paying closer attention to location. It was then that Sarah says Haiti spoke to her. She said she couldn’t help but think, “How can we be this close and not do something?” Not to mention, unlike other countries who have agencies in varying locations throughout the United States, there was an agency located here in Owensboro. The paperwork required for international adoption is very specific and incredibly detailed. So when the Bests were completing their request, they drew from personal and family experience. Justin and Sarah both work in schools with children of different abilities, and have done so for most of their lives. Sarah said, “In our experiences, these kids are no different than their peers; they just need some extra supports so they can be successful too. We’ve never treated the individuals we’ve worked with or interacted with in the community as though they can’t do things, sometimes we just need to modify a bit.” So the idea of modifying things for a child with unique needs living in their home did not seem daunting at all, it seemed natural. When making their request for a child with special needs, they specified limb differences. Sarah says, “Limb differences are not uncommon to our family,” referring to Justin’s cousins who have one biological child who is missing part of one of her arms, and two adopted children who are missing limbs as well. Sarah says, “We’ve watched these kids excel at everything other children with all of their limbs can do. They are so active, and are way more abled than ‘disabled.’ It has a lot to do with how you treat them and the opportunities you offer them. They really inspired us to specifically look for kids with missing limbs. In international adoption you have to be really specific in your paperwork so they know how best to match your family with a child. That’s the path we felt God was leading us down. (It was) not scary or weird for us at all.” Justin adds that working with students of other cultures and needs has made him more open to international adoption, and has taught him to become acutely aware of other methods of communication like recognizing changes in facial expressions. After submitting the initial paperwork, Sarah and Justin spent the next six months praying fervently, and asking God to provide for their financial needs, affirming that this adoption was His will for their family. Just one week into the process, a friend blessed them with enough funds to pay for the initial application fees and enough money to jump-start their first fundraiser. What started out to be a cupcake fundraiser for Valentine’s Day, soon transformed into pancake breakfasts, silent auctions, yard sales, and unexpected checks in their mailbox. 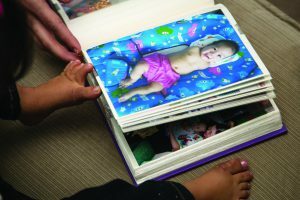 The two were overwhelmed with the amount of love and support shown to them to complete the initial steps toward adoption, but they soon found themselves “in a holding pattern,” waiting for the next steps in a typical five-year process. Sarah says, “We learned to be satisfied in the wait.” However, on September 29, 2015, they found that both their wait and their destination were quickly about to change. Near the end of August 2016, Sarah and Justin were finally able to make the journey to Vietnam to meet sweet Minh, who was now almost two years old. They were also able to spend time in her environment, and visit her “found place.” The tour guide explained that in Ho Chi Minh City the Catholics and the Buddhists were known for caring for orphans, so a child left at the Buddhist temple was most likely left there in love, so they would have a better chance for survival. 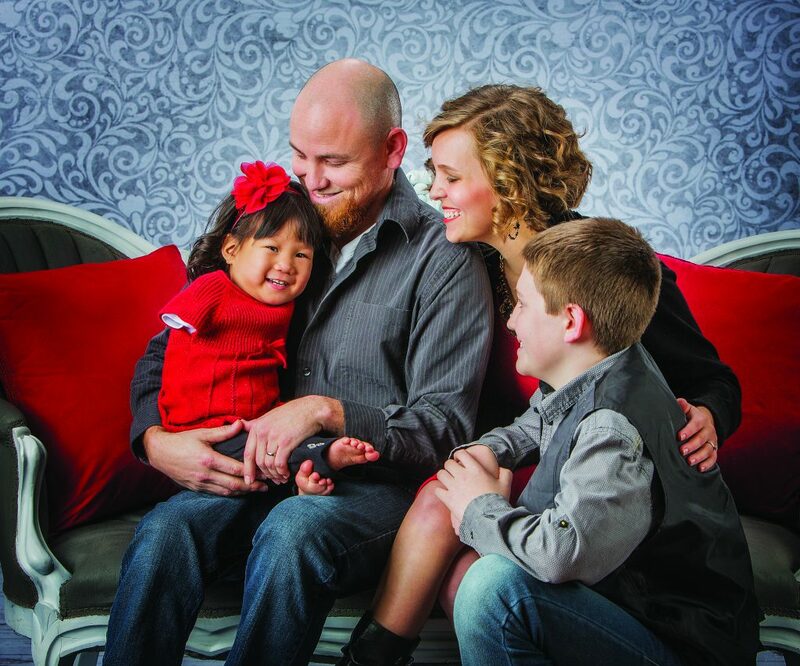 On September 17, 2016, Minh’s second birthday, Justin and Sarah brought her home to Owensboro. Now that Minh seems to have settled in, Sarah says, “She’s such a perfect fit for our family. It’s like she’s always been a part of our family.” As far as moving forward with their Haiti adoption, it could be pursued as soon as January. However, the Bests have decided to wait just a little bit longer to first establish consistency with their newly blended family. While they still plan on bringing home a little girl from Haiti in the near future, they first want to spend a little time loving on their little girl from Vietnam. 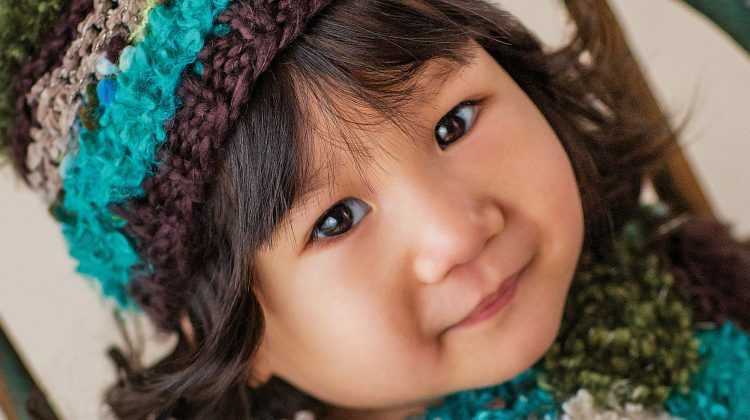 Even though it has been just a few short months, Minh seems like any other happy, energetic two-year-old. Sarah and Justin often joke that one of the first English phrases that she mastered was, “That’s Minh’s.” When seeing her for the first time, you barely notice that there are no arms filling her little sleeves. Instead, you notice her sweet face and tender high-pitched voice calling her dog, “Woof, woof,” as she playfully tosses a ball to him with her feet. You watch as her pink hair bow bounces along with her as she scoots happily across the floor. You are simply in awe of everything this tiny girl can do. When asked how Minh does what she does, Sarah responds, “How does Minh do things? She just does. At this point, there’s basically nothing we’ve tried to teach her that she hasn’t figured out how to do. We don’t even teach her how to do it with her feet. We show her with our hands and she will figure out, not one, but three ways to do it with her feet.” Minh is able to get herself down off of the sofa on her own, and go up and down full flights of stairs. They anticipate that Minh will be walking soon, but until then, she is content using her feet and bottom to “jump, scoot” to get where she needs to go. If she wants to get up to a higher location, she scoots next to what she needs and says, “Up.” If she wants a box opened, she puts it between her legs and scoots along with it until she gets to the other room, then she requests that they take the item, “Out.” In order to open cabinets, flip book pages, or grab other things that she needs, Minh uses her big toe and second toe as pinchers (a lot like we might use our thumb and index finger). Her exceptional flexibility also helps her to be able to stretch and reach items behind her. As far as other modifications and accommodations, Justin and Sarah have found it easiest to keep things “down in her space” so that she is able to reach them easily and independently. They also have a special dining room chair that sits at table height so that she is able to access her food and drink on her own. The Bests cannot speak highly enough about the orphanage that cared for Minh for the first two years of her life. They credit the orphanage with teaching her how to do things such as sew with a button and string and play the drums. Most importantly they taught her how to be happy and independent, and they still follow her accomplishments on Facebook even though they are thousands of miles away. As far as the future is concerned, the Bests have already done their research and also intend to use their experience with differently-abled children in order to provide Minh with the accommodations that she will need. When presented with the question of how Minh will be able to walk in public when she gets older and still access things, Sarah says that she has already spoken with Shriner’s Hospital, and when the time comes, “they will modify her AFOs (Ankle-Foot Orthotics) so she can use her toes a bit. She may also use slip on shoes or socks with the toes cut out so that she can get to things quickly.” As Minh gets older, a service dog may be a consideration as well, but for now, they intend to rely on Minh’s natural abilities and the recommendations of other families that have had similar experiences. Sarah and Justin have already been blessed with a network of extended friends and family members that are more than willing to lend an ear or give advice when needed. One thing is for certain, in human eyes, Minh may be missing her arms, but in God’s eyes, she is absolutely perfect, and a perfect fit for the Best family. To learn more about Minh and follow her on her journey, like her Facebook page Meeting Minh.